Mike Dillard has used this one concept to make multi-millions – and continues to do so today. That was the whole point of Elevation Income – how to get you started right now with your own home business, so you'd have more money to invest in other passive income streams. The elegant solution for Mike was getting joint-venture affiliates to push his memberships. Very elegant, once you know how that's done. Dillard loosely defined an “elegant solution” as having the biggest yield possible for the least amount of cost and effort. In short - it’s easily and highly leveraged. Your time and money goes a lot farther. A lot. Like potentially millions back for each and every penny invested. The elegant part of it is to set it up so you have to do little management of it, and have minor payments every month to maintain it. It should generate as much income as you feel you want, off as little that you want to spend in terms of time and money. And it can. It's all up to you – and how much you want to invest in your own education and experience, as well as building an online virtual assembly line which can deliver valuable content to paying customers. Not that you won't have to work to get it set up – but once it is, then you should be able to spend as little time and money as you want. So you can spend your time with family, friends, or setting up additional passive income streams. Or even sell that membership (or a majority equity share) for profit. How Dillard did it, with both Magnetic Sponsoring and Elevation Group, was to set up a membership site and sell information projects there. This isn’t something new. Clubs and Memberships have been around since before the Web was created and are practically the basic model for earning income over the Internet. Your hosting company is one of these. Any paid service on the Internet is one of these. If you include any business which asks for your email or a regular fee, that’s just about everything going out there. This is just an extension of various “clubs” which are used in the brick and mortar world to get repeating sales from customers. Unfortunately, Dillard doesn’t go into setting up and running a membership in much detail in his recent Elevation Income release. His solution was to move everything over to Infusionsoft and Kajabi - which is way out of most people’s budget when they’re just starting out. But then, Evolution Group was set up based on a single product. And Magnetic Sponsoring was and is an affiliate marketing members-only club with a set series of products, plus a blog. Your own membership will be what you create it to be. What I'm covering below just lays out the broad strokes and how you can get started. Again – don't take my word for anything. Test everything to see that it makes sense for you and that you can make it actually work. Which means that it makes money. While I did this research for my own use, I'm publishing it for everyone to see. Some of the examples I'll go through will be figuring how to apply it to my own scene as I plan out my own first membership. As I go, I'll link to places and people who have done this successfully. Just so you can check them out for yourself. No two memberships will be the same. Just like their creators are different. Individuals. So read, check, test. That's your success route. Recurring income is one of the outstanding aspect to running a membership. Most other online businesses lack this capability. They survive by selling a couple of products and must make ends meet by selling many of these each month. This alone tells you why bloggers are renown for not “making money” online. Your membership gives you a new focus. Instead of working to sell products to new customers every month, instead you work on retaining the clients you have and keeping them satisfied. First-time subscribers breathe life into your membership, but renewing clients keep it alive and well – producing recurring income. Of course, it's not any instant or magic outcome. You will have attrition on your membership, fluctuation in the numbers of members you have. However, as Jay Abraham notes, serving a client is far cheaper than finding new customers constantly. His insistence on the word client tells a lot about how you treat your members – you are their to help them improve their lives. And they will stay with you until you are no longer able to help them in their quest. If the content of your site has sufficient depth, you'll be helping them for years – while they pay you monthly for the privilege. A paid membership gives you a steady income, depending on the quantity and quality of work you put into your site. Delivering valuable, consistent-quality content on your site regularly and timely will be your own guarantee of regular income. Because that content is “write once, publish many times” and basically on automatic drip (much like an on-demand coffee maker) – you are able to serve many more people than you would by making cups of coffee one at a time as they showed up to your stand. Your content is mostly set up to start once they sign up and then is sufficiently interesting to keep them going right through to the end – and then sign up for more and additional products, which are also delivered automatically. You can see how this scales and is the answer to any business demands. Practically, any brick-and-mortar would be smart to build an online version of their business as a membership, utilizing the knowledge they have and delivering it to their regular clients – as well as being able to expand beyond the local community they serve. Practically, if it weren't for the joy in helping people directly, a well-run membership could replace your main income from that business. Because you can charge whatever you want – based on the perceived value you offer – you are practically unlimited as to the amount of income you can bring in monthly. We then have the economy of scale with diversified, passive income. “Preeminence is essentially a perception. It simply means that people believe you are the best or one of the best or at least better than most others, at what you do. “It’s because of preeminence that people choose your business over the competition, that you can charge higher prices and why people seek you out instead of you needing to solicit clients through aggressive selling. “It actually doesn’t matter if you really are the best at what you do - that’s a subjective point of view no matter how you look at it. What counts is that you appear superior in some way, in the view of the people you are trying to influence. “You want preeminence because it will convince people to join your membership site and make it easier to find partners who will promote your membership site. “Preeminence is established by association with other people who have preeminence, by placing yourself in a position to create the perception of preeminence (for example coverage in the media, speaking at an event) or by delivering so much value that people refer to your materials as definitive. By going the “extra mile” to create a membership for your audience, it lends you the authority and pre-eminence in your field, and practically lays out easy ways for people to follow your lead. As long as your content continues to be excellent value, they'll continue to follow your lead. Of course, that means your average value per member increases – since they'll be buying more products from you with cross-sells. What you need before you start. In short - you have to know where you are going and how you are going to get there. As Mike Dillard covers (and devotes an entire video to) is that you have to figure out your niche. You have to have a problem which is worth solving, because people will pay you for the answer to it. You have to know how those people want their solution delivered. You also are fascinated with solving this, so it aligns with your passion, your bliss. You can't really get “burned out” on something you love to do. The final point is that you have assessed your own talents and skill-sets to know what you are capable of. 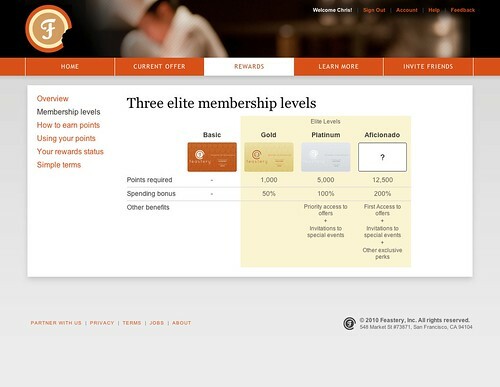 There are many types of membership models to choose from. (We'll get to these shortly.) Which one you select will be determined by the three points above. Those points will also predict the price-point you choose. So have them sorted out completely, and work them out with paper and pencil until you are completely certain about each and know the answers cold. This is straight out of “Speedwealth” by T. Harv Eker. The point is to plan on how you can set this business up so it's truly passive income and you don't have to constantly work at maintaining it. You want to envision your end and work toward it. You want multiple streams of passive income, not lots of jobs to do. Memberships can be nearly put on autopilot. Nearly. And then you have time (and money) to invest in additional passive income streams. That is where your true financial freedom will come from. See Eker's book for more about this – and he also gives seminars yearly based on that book. The membership type you'll build depends on how you answered those three points above. What does your niche want, how do they want it, and what skills do you have to deliver that valuable solution to them. There are a few ways of looking at membership site models. From reviewing half-a-hundred different PDF's and articles on the subject, this description seems to be the best. Payment: How to charging for the value you deliver. Content Based: The kind of content, materials, instruction, services you will deliver. You may choose to focus on a particular category or offer a mix. The choices you make in these three areas determine what kind of a membership site you’ll have. It’s a little like choosing from a Chinese menu. One from column A, one from column B, two from column C. Just like choosing a meal, some combinations work better than others. It's really based on how you want to take advantage of your own skills and how fast you want to get started. You can also use multiple choices from each column, such as mixing free and trial. Or marketing your fixed term as “lifetime access.” As well, a blog as part of the site would naturally lend itself to being re-purposed into courses, which could then be sold and delivered via your autoresponder. You can also have combinations of the above. This is particularly true with pricing. A free membership will always be a great way to bring people in for a taste. They'll be in your autoresponder, so you can then keep them updated on new content. Of course, they'll need to upgrade in order to experience it. Any free trial will be giving them a taste before they commit. At certain price points, this will be a smooth transition – hardly noticed. Price is more affected by expected quality of content and perceived value than what it costs to create. If you want more income, you have to increase the perceived value. That's marketing, and goes back to Dillard's point about being an Alpha type. Here's where you need to know what you're going to call things. This is covered in Dillard's Video 6: Ready, Set, Go! Once you know what your niche-community wants - and how they talk about it - you'll know what you want to call it, as well as the domain name you should use. Then you get decent hosting. Once you have your hosting, then you get into the Control Panel and install Wordpress. Wordpress is an open-source software which is widely supported by a huge global community. Essentially because its very easy to set up and run. There is a great deal of documentation and classes available on line, both free and paid, so you can master how to run it. Wordpress.com will even give you a free blog so you can learn by using the platform. You are going to have to install the program itself on your own domain hosting in order to install the necessary membership plug-in. Just the way it is. If you're going to make money, you are going to run your own shop. But if you ever do run into trouble, you can always get technical help for a fee, since so many people install and maintain Wordpress installations. A plugin changes Wordpress to be able to make security and other tweaks to your subscribers and make a Membership happen. There are tons of plugins, both free and paid, which change all sorts of points within Wordpress. But they don't all play nice together. The advice is to keep it simple. Whatever membership plugin you choose (I recommend Insta-Member) do some research on conflicts before you start adding any additional ones. While you can get other scripts which can be installed outside of Wordpress, you should really be prepared to do (or pay for) the technical work needed to support setting these up. If you do the steps of 1) Install Wordpress, and 2) Install your membership plug-in – then it should go smoothly. Then check on the plug-in company's site for information about any others you have or shouldn't have. Mostly, you can get going right off the bat with just those two steps. When WP and your plugin are limiting your expansion, you should have sufficient recurring income to afford the Infusionsoft/Kajabi solution that Dillard recommends. Getting your autoresponder service and merchant account. The last point, if you don't already have them, is to get Aweber or some similar autoresponder service. Because you are going to be doing list-building, and this is the tool to do it with. While I could go into a lot more detail about how to utilize autoresponders (and Aweber has a ton of free PDF's on it's site to learn how), I've put these links on the Resource page so you can look them up at your leisure. A merchant account is so you can accept credit cards. Start with PayPal. When you need an additional account of your own, you'll be ready to do the needed homework for this. Dillard has a few links on this in his Resource page. All you need to get started is PayPal. Your business should pay for itself. Sure, you can “loan” it some start-up funds, but the point is that the less you have to invest up front, and the quicker you can get it running and producing income on its own, the faster you'll be making profits. Hosting: About $10 per month. And that's it. The rest is your own sweat-equity in getting content uploaded, as well as writing sales pages and so on. Note: If you can swallow the Infusionsoft/Kajabi pill and set yourself up for a $400 monthly fee – go for it. They are the best. My approach above is to get you started tonight as you read this with what you can afford from any day job you may have. I'm not going to cover getting your content ready and uploaded to the site. On the Resource page (linked) I'll give you a linked-list of various PDF's I've found which cover this, as well as any other materials you may need which have shown up in this research. Once you have your Membership up and running, you are going to have to get people to sign up for it. That means they are going to have to be able to find it. If you don't already have an email list, then you have to use additional means to get people to find your membership. Free info product (or free membership) – this is something you will give away in exchange for their email. See the Resource page for ebooks on how to create these. Joint-ventures with affiliates – giving a sizable commission (50% is the norm, and what Dillard does) can get them to send your offer out to their list. Again, there is more about writing emails to get JV partners (see the Resource page.) But they will also write them for you. Also, list your offer on JVZoo and DigiCipher (both free and can be integrated with Insta-Member) so affiliates can find you. Paid Ads – while most people think this is Google Adwords, there are also other options, such as Facebook. The most effective per cost is probably StumbleUpon, which actually sends traffic to your page. Blogging – it's own subject. Works if you can get traffic to your pages and Google puts your pages up in the rankings so people can find them. If you don't already have a blog, then try the others first. Your End Game – Where to from here? Once you systematize the creation and maintenance of your membership site, you can spend time automating the marketing process. If you can automate both the value you offer through systematization and outsourcing, and also the marketing processes you use to bring in new members, you effectively have a money making machine, which has a high resale value or can simply be an ongoing profit-center for you. The most common way I know of in today’s Internet marketing world to automate marketing is to strategically insert promotions into automated process. This can be email autoresponders, landing pages, thank you pages, packaging your free product as bonuses in other people’s products - essentially back-ending your free value into the funnel of another related business (incentivised with referral commissions, by doing contra deals or made possible by leveraging relationships). Selling your membership site is a real option and worth considering as an exit strategy. Consider this, a business usually sells for somewhere between one and ten years net profit. Here is a list of the metrics you should collect and provide in a concise document, which you can give to potential buyers who demonstrate serious interest in your site. 1. Revenue - How much raw money your membership site generates each month. Provide data for as far back as you can. If you can demonstrate regular income over a long period and a positive growth curve, you will get more for your site. Also be sure to show exactly where revenue comes from, so if you have different membership levels, break down how many members are in each level and how much money is generated. The more specific you are the better. 2. Profit - Revenue is usually the most important metric, but buyers want to know how much profit there is at the end too. In particular, if you can break down the exact source of expenses, potential buyers can determine whether they will be able to reduce the costs after taking over the site and thus calculate potential profits if they become the new owner. For example, if a buyer already has a dedicated server for hosting, they could move the site to their servers and remove the hosting cost component of the expense figures, thus increasing the potential profit. If they don’t know the source of expenses, then they can’t do calculations like that, which could impact the final selling price of your membership site. 3. If you treat your membership site like a business then you have accounting records. If you can generate a profit and loss statement for at least the previous year, and a version broken down month by month, then you have the ideal documents to show potential buyers all the details they need to know about revenues, expenses and profits. Warning: Don’t disclose this data to just anyone, make sure they demonstrate their seriousness and ability to source the funds to buy your site. Don’t put your profit and loss statements into a document you release to the general public, just reveal summary figures and save the details for the serious potential buyers. 4. Traffic Statistics - Buyers want to know how much traffic your membership site gets, including unique visitors, page impressions, traffic sources, traffic trend data, country breakdown, how much bandwidth the site consumes and various other website data. The best way to provide most of this information is to use the Google Analytics service and print out reports and screenshots. Google Analytics has become the de-facto standard for web stats and buyers trust the data because it is from a third party. You can also provide data from your server logs and statistic packages like AWstats, Webalizer or any stats package currently on your server. 5. Source of new members and conversion data - Since your site is a membership site, how much traffic you get won’t matter as much as how you source traffic and what conversion rate you get. You need to break down exactly how you attract new members, how many members convert from a given amount of traffic by source, and if possible, how long on average members stay in your program given each source of traffic. It’s possible to get quite detailed when collecting data on traffic and conversion and as always, the more information you can provide the better. As a bear minimum, include how you drive traffic to your membership site (the marketing techniques you have implemented) and an average number of conversions per 1,000 visitors. 6. How much work is required to manage your site - Buyers want to know how automated your membership site is and whether there are people and/or systems in place to run the site. It’s important to talk about how many daily/weekly hours is required from the owner in order to keep the site running and what exactly needs to be done. A buyer needs to consider whether they can do what is required, whether they are prepared to invest the time, and how easy it would be to hire someone to perform the roles for them. 7. Attrition Rate - How long, on average, a person stays a member of your site is a really important metric although what buyers want to know is the lifetime customer value, not necessarily a time period members stay in your program. If you have a well developed membership site, perhaps with different priced levels of membership that you move people through (a sales funnel), you can ramp up the lifetime value of each customer. This is an area where experienced Internet marketers shine. Your resources and data collection practices will dictate how much information on attrition and customer value you can provide. Once you have your membership up and running, then work on getting all the content filled out, as well as the autoresponder integration so you systemize everything you can. Practically, it's possible to set this up to need very, very little attention once you've done the hard work of setting everything up. That doesn't mean you don't need to keep tweaking the pages and delivery so you improve the conversion rate and lower your attrition as much as possible. Obviously, expanding the number of Joint-Venture affiliates will increase your monthly income markedly. Again, these are beyond the scope of this article. All I have found that's useful is linked on the Resource page. As covered earlier, this model can be repeated through any number of profitable niches. Because this model is extensible across the Internet. Your only limits are those you've accepted for yourself.